If you are looking for car dealerships in Brookfield WI with great Ford finance and Ford lease deals, come to Ewald’s Venus Ford. The Ford dealership near me of Ewald’s Venus Ford has a wide and diverse selection of new cars for sale and lease. You will find outstanding Ford finance and Ford lease deals at Ewald’s Ford dealers near other car dealerships in Brookfield WI. We have an incredible sales team that are happy to answer all of your questions about Ford cars for sale near me. With all of the great Ford cars for sale near me, you can find the right Ford vehicle to meet your needs at Ewald's Ford dealer. From buying or leasing your next Ford car for sale to financing to your Ford service and parts needs, Ewald’s Ford dealership near me is here for you. Come and find the right car, truck, or SUV for you at our Ford dealership near you. 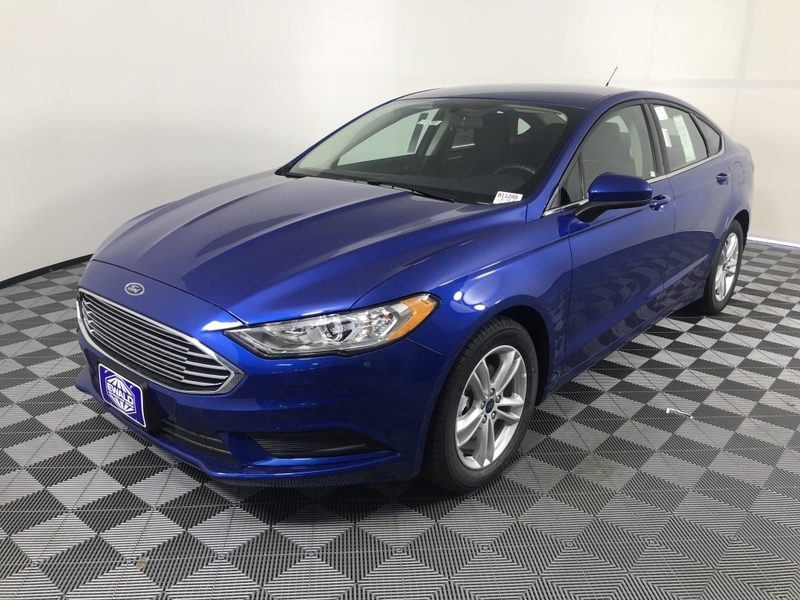 Like the new 2018 Ford Fusion SE for sale and lease. If you are hoping to get yourself into a new Ford Fusion for sale near you with the options you need at a price you can afford, why not check out a Ford Fusion lease at Ewald’s Venus Ford. With amazing new Ford Fusion lease drivers can enjoy a smooth driving experience on any wide open road with a lower monthly payment. This new Ford Fusion lease has many great standard and optional features that we are ready to show you at our Ford dealership near you. For starters, the efficient 1.5-liter 4 cylinder engine gives you an incredible MPG rating. It gets an average of 23 miles per gallon in the city and 34 miles per gallon on the highway. Talk about saving at the pump when you take advantage of the Ford Fusion lease! You will also find that this new Ford Fusion lease comes equipped with push button start, cruise control, and more. Such as an auxiliary audio input, keyless entry, as well as Bluetooth connection. You will also find power windows, steering wheel controls, and an MP3 player jack on this Ford Fusion lease. This Ford Fusion for sale and lease will be a pleasure to drive and own. This Ford car also has incredible safety features. Which includes AdvanceTrac electronic stability control, ABS and driveline traction control, and curtain 1st & 2nd-row airbags. As well as low tire pressure warning, and more. For comfort and convenience in a car, you just can’t beat this new Ford Fusion for sale and lease. So stop by your local new and used Ewald’s Ford dealerships near car dealerships in Brookfield WI and take it for a drive today! If you want to take this awesome new Ford Fusion for lease and sale out for a spin for yourself, then stop on by Ewald's Venus Ford. Ewald's Venus Ford dealership is located here at 2727 E Layton Ave. Cudahy, WI 53110.